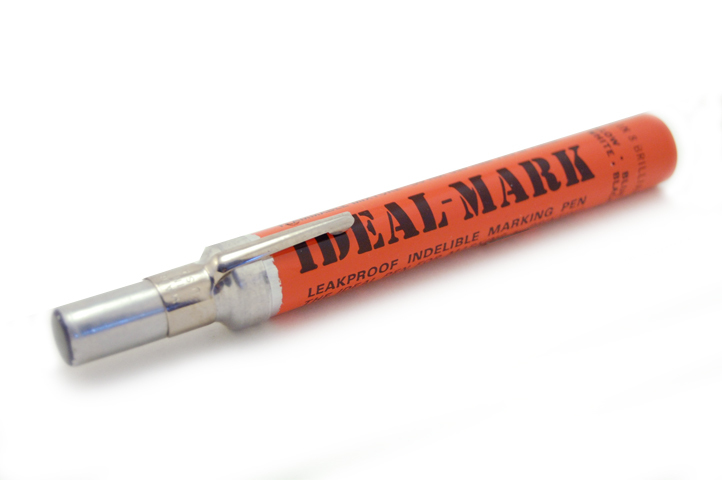 NOTES: Ideal-Mark leakproof indelible marking pen. 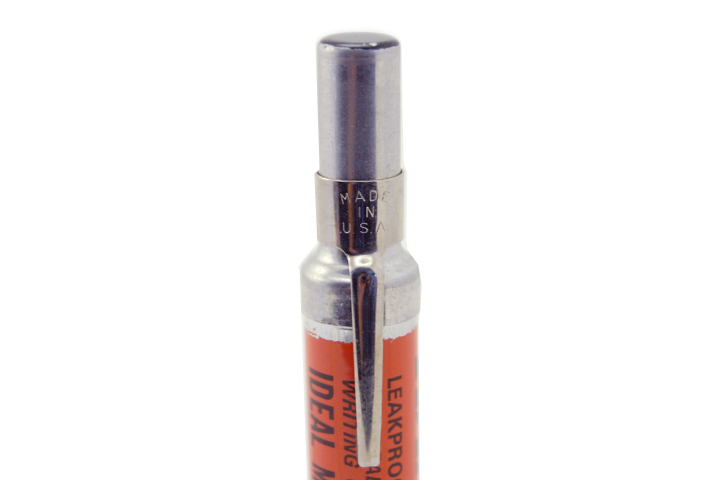 Contains aromatic naphthas. Cresol and Nigrosine dye. 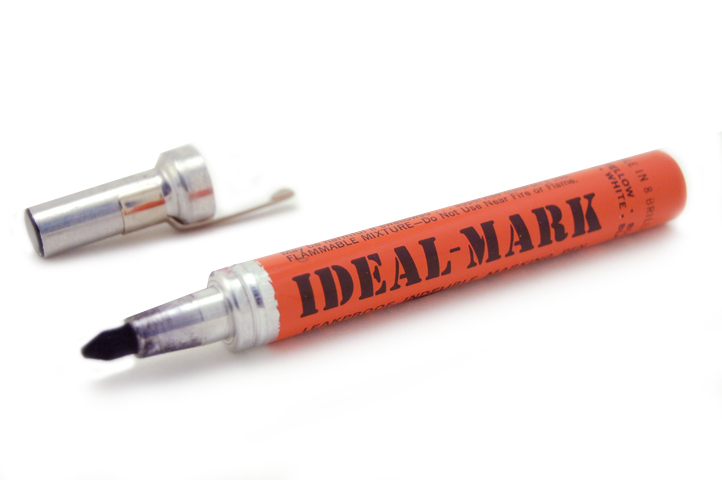 Flammable mixture. Circa 1970’s.